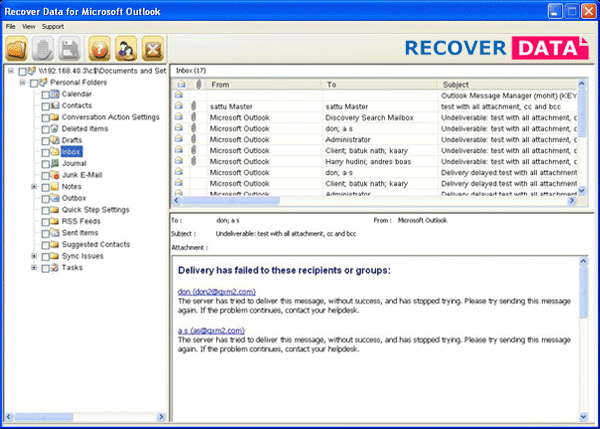 Outlook Repair Tool 2010 2.1 - Download Win Apps. Repair MS Outlook PST file with advance Outlook Repair Tool 2010. Now you can repair MS Outlook PST file with advance & result-oriented Outlook PST repair tool. Outlook repair tool effectively repair Outlook PST file and recover all accessible data from it. Using MS Outlook PST repair tool user can get back all PST file emails items including emails, attachments, drafts, notes, journals and task.